National Heart Institute and Research Centre [NHI] was established in 1981 by the then Prime Minister of India, Mrs. Indira Gandhi, as the Clinical Research and Medical Care Delivery wing of All India Heart Foundation, with the aim of providing State-of-art Modern Cardiac Care Technology to the financially impoverished section of the society. National Heart Institute is recognized by National Boards for post doctoral training and runs an active teaching and training programme in the specialities of Cardiology & Cardiovascular & Thoracic Surgery. It also carries out research in all facets of Cardiology & Cardiac Surgery. National Heart Institute is recognised as a Collaborative Centre of WHO in Preventive Cardiology since 1983 and is an affiliate of the World Hypertension League and Heart Beat International. The National Heart Institute (NHI) is an integral part of the Foundation's Research and clinical care delivery Programmes and was established in 1981. National Heart Institute has also been recognized by IGNOU for its Post Graduate Diploma in Clinical Cardiology (PGDCC) program. Why to JoinNationalHeart Institute and Research Centre [NHI]? Highly qualified Staff- The staff at NHI is a group of individuals who are trained in India & abroad, with extensive experience in Cardiology & Cardiac Surgery services in these areas. International Affiliation- NHI is the only Heart Foundation in India affiliated to the World Heart Federation, which is an international body for coordinating Heart Societies and Foundations throughout the world. It has thus links with other national heart foundations throughout the world for exchange of information and knowledge so that it could be disseminated for the benefit of professionals and laity, alike, in the country. Recognition By Government- The Ministry of Science & Technology (Department of Scientific & Industrial Research), Government of India has recognized the Foundation as a scientific research organization. 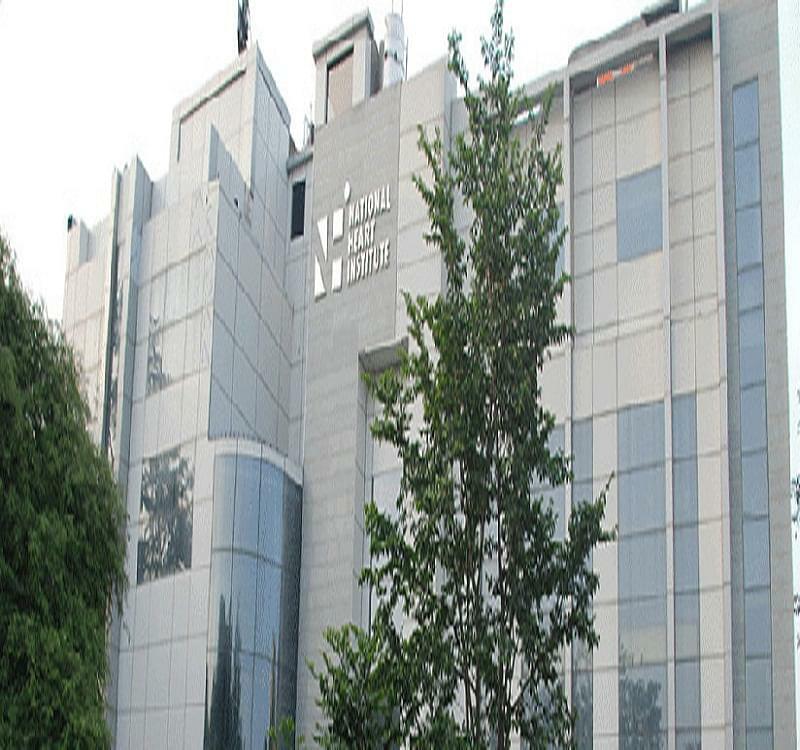 The National Board of Examinations, New Delhi has recognised the National Heart Institute for training of candidates for the specialities of cardiology and cardiac surgery for the award of DNBE degree.